Toussaint Louverture's life was one of hardship, triumph, and contradiction. He was born a slave on Saint-Domingue yet earned his freedom and established himself as a small-scale planter. He even purchased slaves of his own. 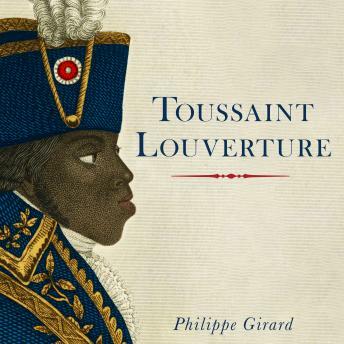 Philippe Girard shows how Louverture transformed himself from lowly freedman into revolutionary hero as the mastermind of the bloody slave revolt of 1791. By 1801, Louverture was governor of the colony where he had once been a slave. But his lifelong quest to be accepted as a member of the colonial elite ended in despair: he spent the last year of his life in a French prison cell. His example nevertheless inspired anticolonial and black nationalist movements well into the twentieth century. Based on voluminous primary-source research, conducted in archives across the world and in multiple languages, Toussaint Louverture is the definitive biography of one of the most influential men in history.